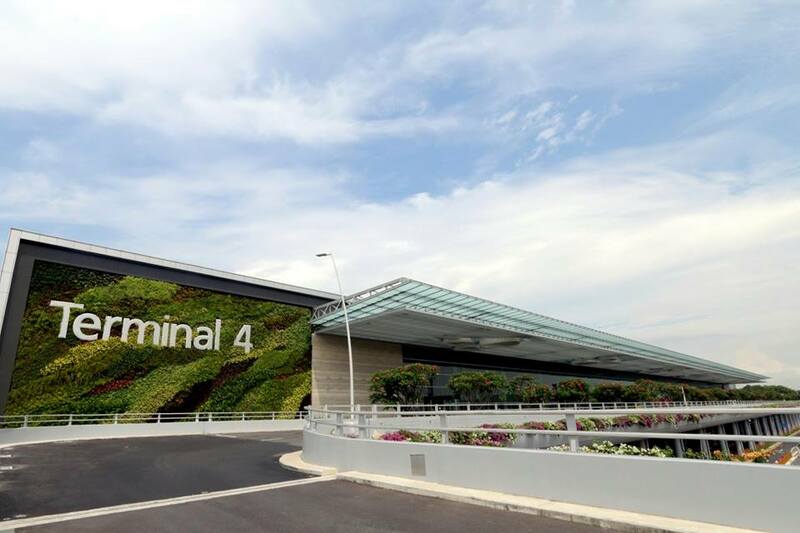 Before I bring you for a sneak peek into the newly-built terminal, here are some fun facts about T4 that you should know. 1. T4 occupies about 225,000m2. It is about half the size of Terminal 3 but has a capacity that is two-thirds. 2. 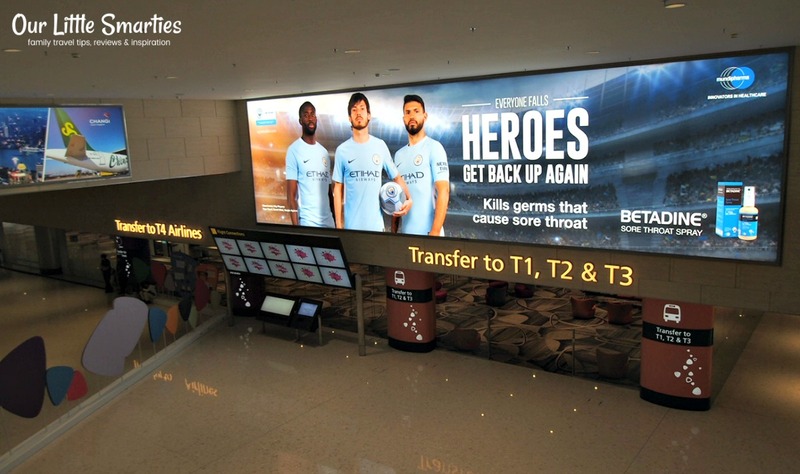 T4 redefines passengers’ travel experience with fast and seamless travel (FAST) initiatives. 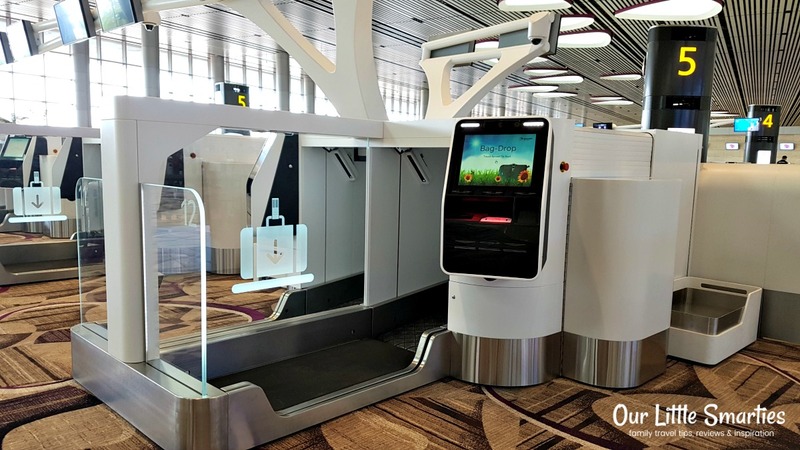 This self-service process of check-in, bag-drop, departure immigration as well as boarding at T4 will be fully-automated (most interesting part – will share about it later). 3. 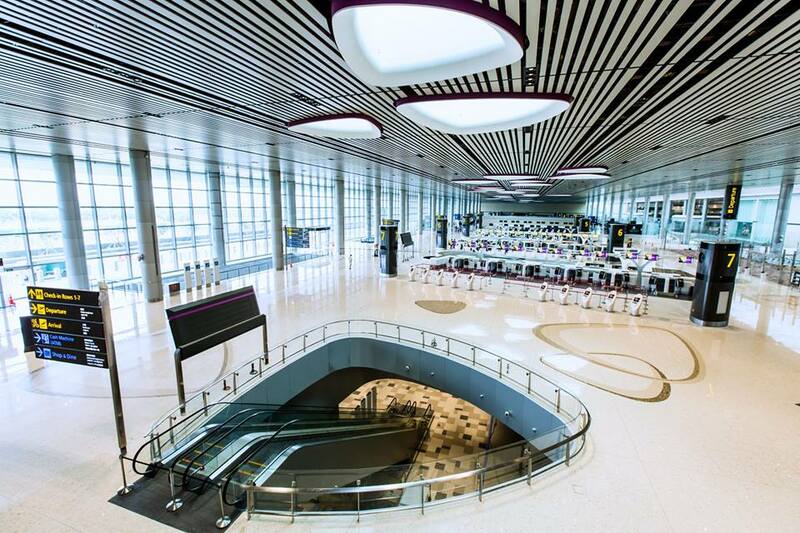 T4 is a flagship terminal for innovation, new technology and new operations concepts. 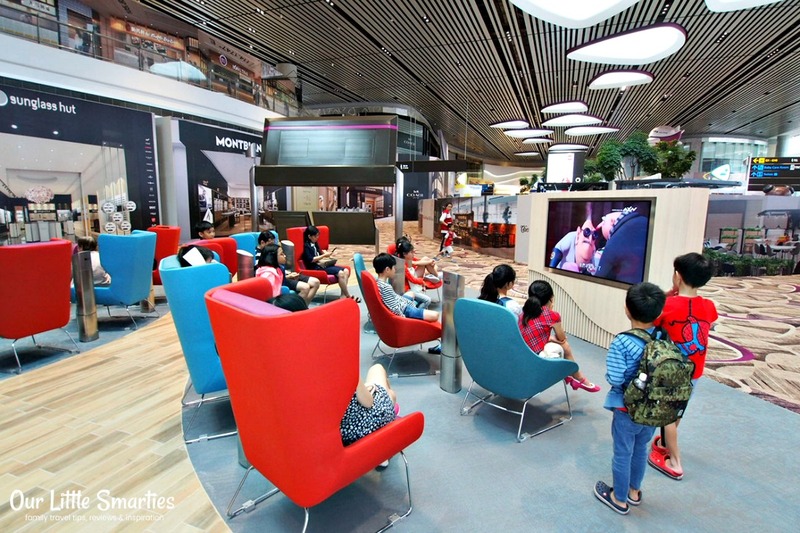 Passengers will continue to enjoy the facilities, amenities, dining and F&B offerings at Changi Airport with notable improvements to productivity and operational efficiency. 4. 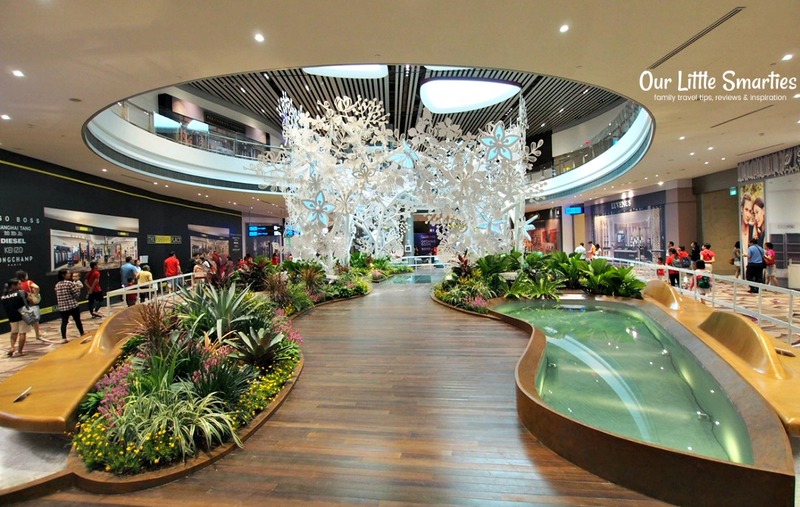 The centerpiece of T4, Petalclouds, is a grand-scale kinetic sculpture. 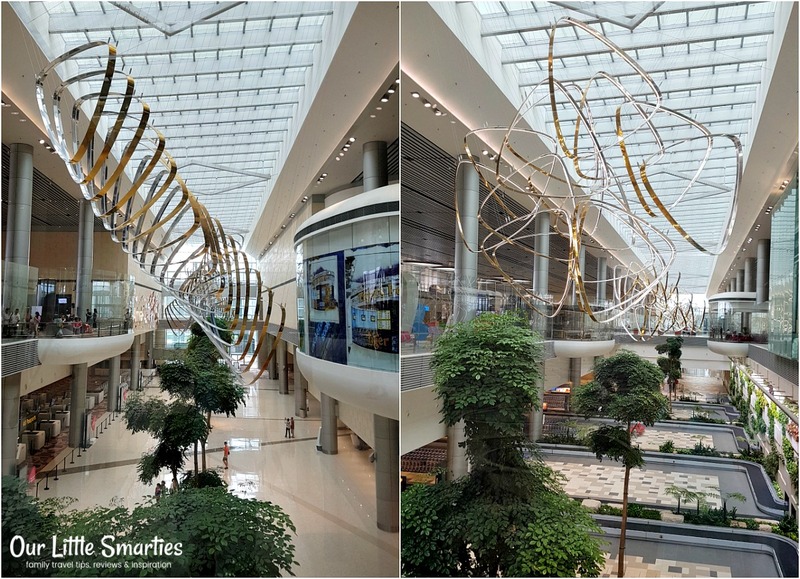 It consists of six structures suspended 200m across the Central Galleria and it can be seen from the Departure Check-in Hall, Transit Area and Arrival Hall. Its movement is synchronised to animated lighting and music too. 5. Nine airlines will operate about 800 flights a week to over 20 destinations, and serve about eight million passengers a year at T4. As of now, the confirmed ones are Cathay Pacific, Korean Air, Vietnam Airlines, Air Asia, Cebu Pacific and Spring Airlines. The first thing I noticed about T4 departure hall is its high ceiling with virtually no interior columns. Thus, the entryway is open, spacious and clean – which I like very much. There’s also plenty of natural lights from the unique petal-shaped skylights. 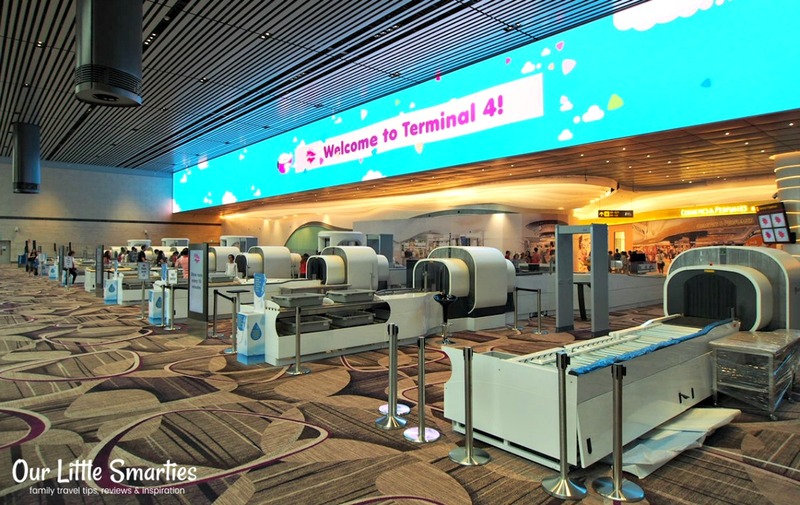 It’s a totally different ‘feel’ as compared to the other 3 terminals. 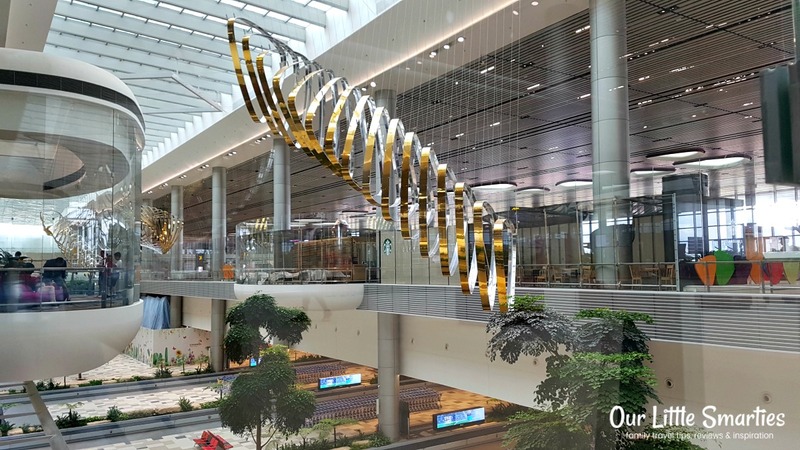 Spanning 200 metres, Petalclouds – the unique kinetic sculpture in T4, is visible from almost everywhere in the terminal. It depicts clouds moving slowly through the horizon. 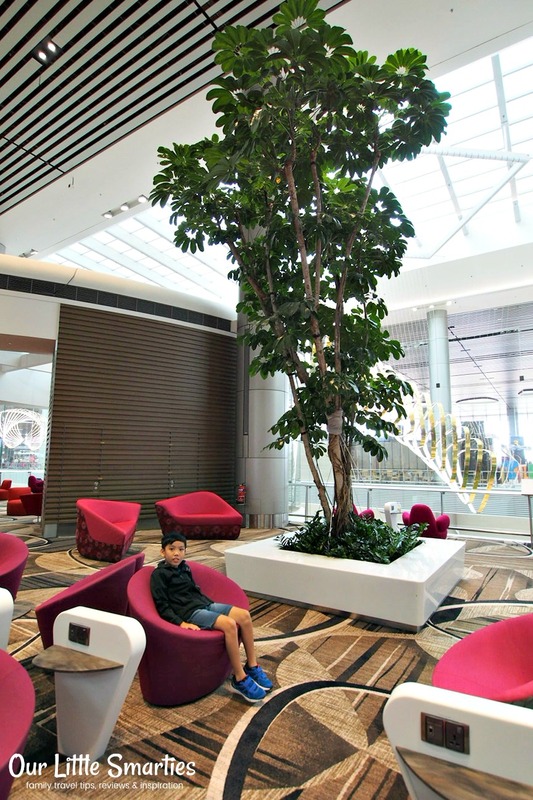 The design of its basic element – a symmetrical petal shape inspired by orchid petals – is found throughout the architecture and interior design of Changi Airport Terminal 4. The departure transit area is full of colourful and cushy chairs with unique designs and charging points. 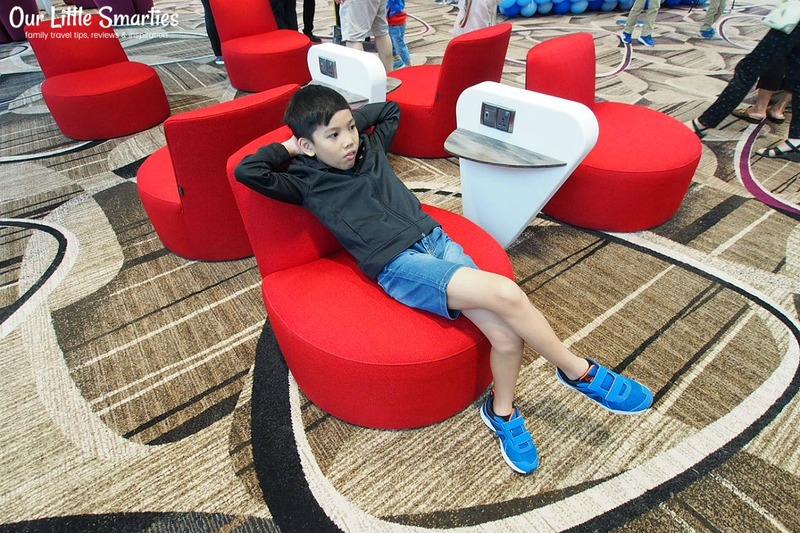 You can certainly find a plush seat to relax while waiting for your flight. I also saw several structures that resemble the petalclouds, and they seem to be a major attraction for kids. Chilling out! Waiting for flight in STYLE, LOL. There are plenty of computer stations as well as areas for watching TVs too! 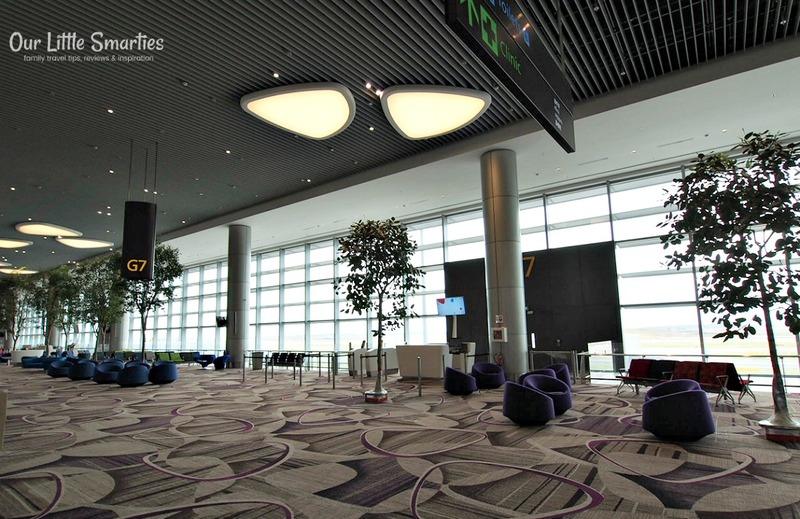 The spacious boarding area gives visitors a great view of Runway 2 as they wait for their flight. 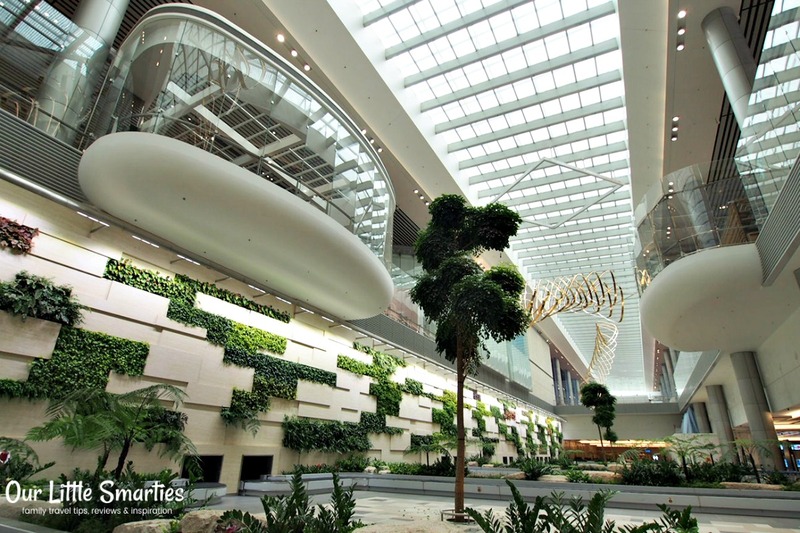 The greenery on the walls at the Arrival Hall looks stunning at every angles. I’m totally impressed with the seamless FAST Departure Process Flow at T4. As I’ve mentioned above, the self-service process of check-in, bag-drop, departure immigration as well as boarding at T4 is fully-automated! First thing when you arrive, head to the automated check-in kiosk to print your boarding pass and bag tags. Strap the bag tags on all your check-in baggage. Next, drop-off your check-in baggage at the bag drop machine after your identity is authenticated by the machine. T4 deploys facial recognition technology at various stations to ensure it is the same person going through the different processes. 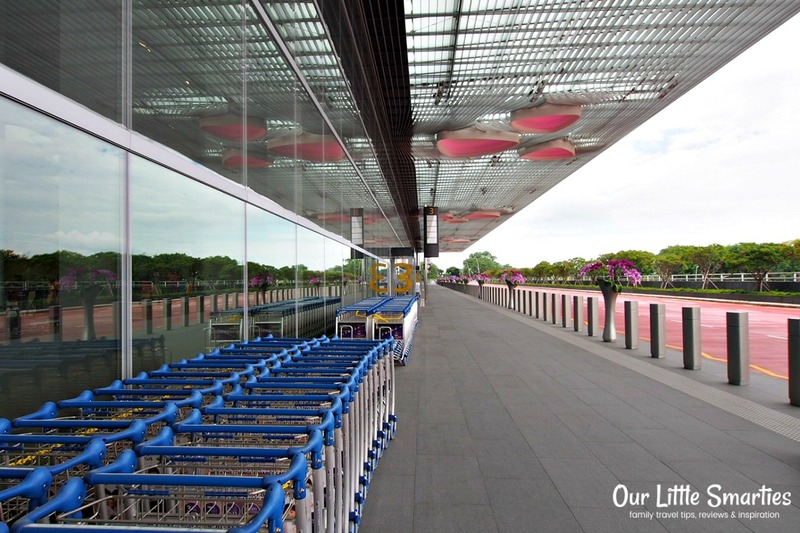 This is an enhanced version of the automated immigration lanes in Terminal 1, 2 and 3. 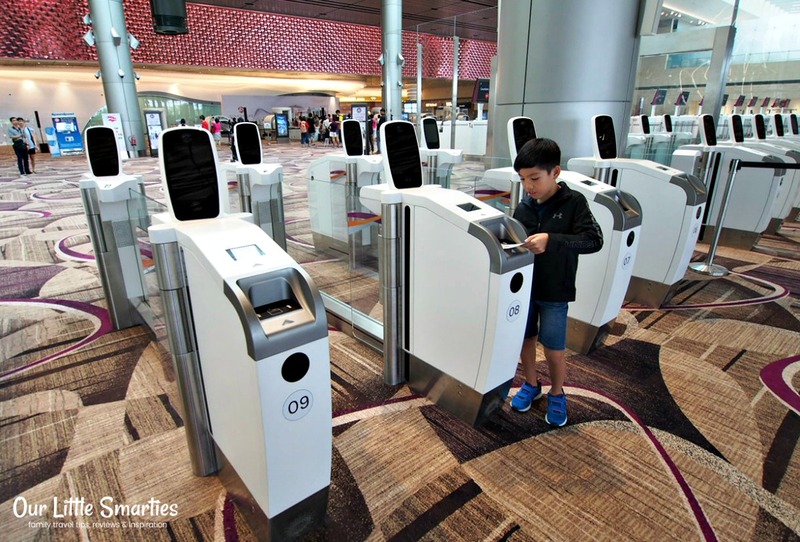 Over here, you’ll scan your passport, boarding pass and fingerprint. 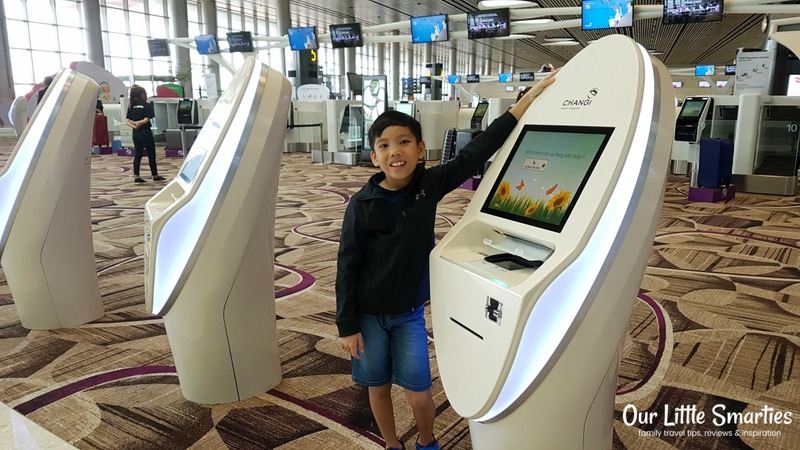 This self-service function is available to passengers (above 6 years old) who have registered their fingerprint with ICA. 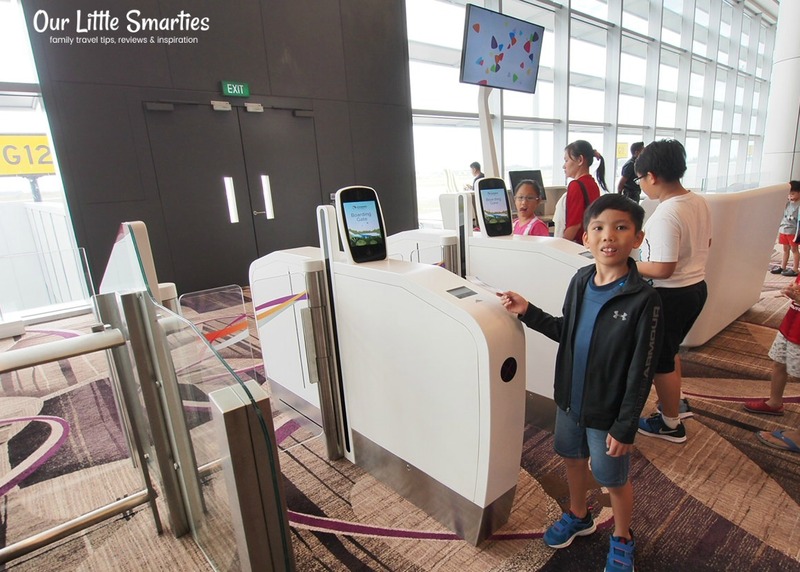 As the final step, you can scan your boarding pass and proceed to board the aircraft after your identity is authenticated by the automated boarding gate. Edison is super thrilled with the ALL SELF-SERVICE gates and he couldn’t wait to fly off from T4. 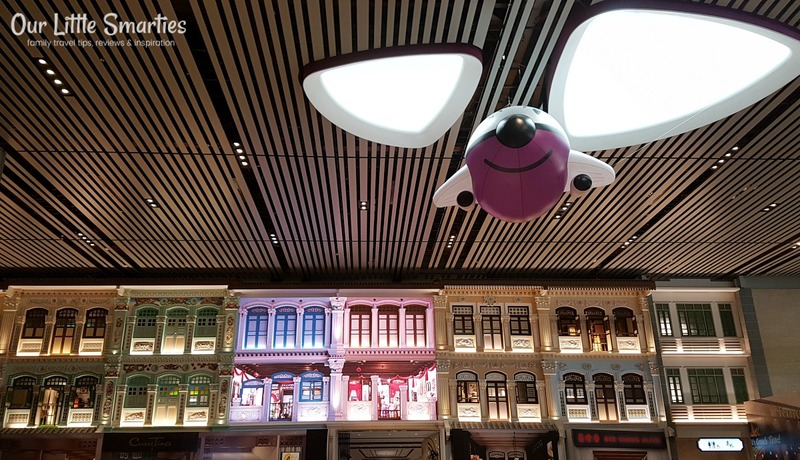 In the public area, passengers can choose from 11 F&B outlets, including food tenants who are making their first appearance in Changi Airport that includes Andes at Astons, London Fat Duck, Old Street Bak Kut Teh, and Sushi Goshin by Akashi. You can also expect new F&B in the transit area! 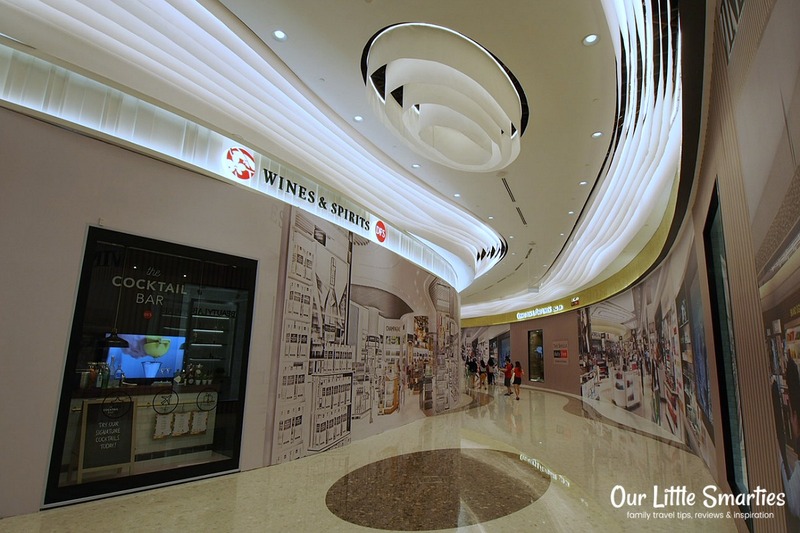 A diverse selection of popular retail brands are available at the unique duplex retail outlets with 11-metre in-store ceiling and gorgeous storefront designs. 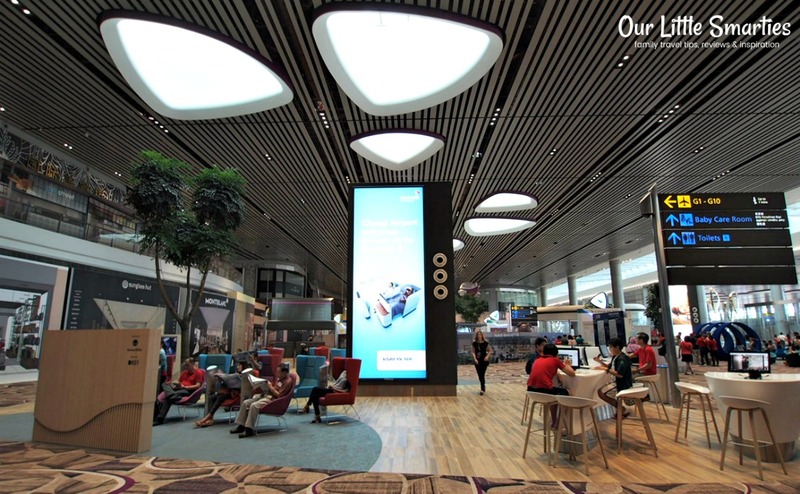 A first for Changi Airport, the most popular duty-free categories (liquor, tobacco, cosmetics or perfumes) can all be found in a single integrated duty-free zone area.